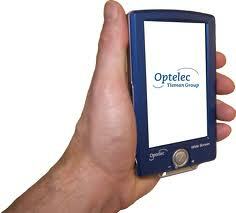 The Optelec Compact+ portable video magnifier is the perfect combination of sophisticated design and functionality. Take the Compact+ on the go to read price labels, maps, bus schedules, directions and your favorite restaurant menus. 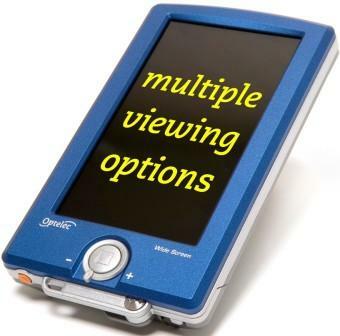 Portable and lightweight for the active individual, magnify your text and images with ease and convenience. Portable and lightweight at only 10.6 oz.